An open studio shopping experience during Happy Hour. Please RSVP for either Friday (25th) or Saturday (26th) join us for a drink. 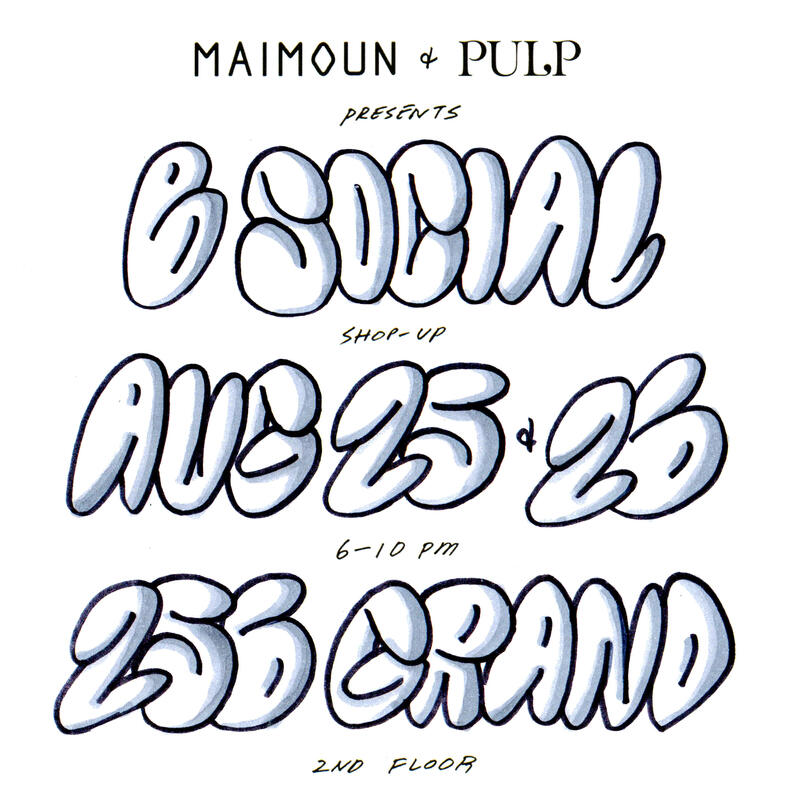 We will be selling select pieces from Maimoun eShop and Pulp Archives.